A new type of flexible, wearable sensor could help people with chronic conditions like diabetes avoid the discomfort of regular pin-prick blood tests by monitoring the chemical composition of their sweat instead. 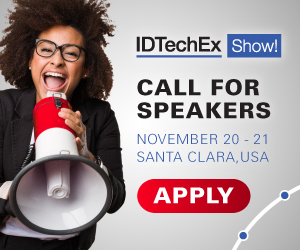 For more information please see the IDTechEx report on wearable sensors. In a new paper published in the journal Biosensors and Bioelectronics, a team of scientists from the University of Glasgow's School of Engineering outline how they have built a stretchable, wireless system which is capable of measuring the pH level of users' sweat. Sweat, like blood, contains chemicals generated in the human body, including glucose and urea. Monitoring the levels of those chemicals in sweat could help clinicians diagnose and monitor chronic conditions such as diabetes, kidney disease and some types of cancers without invasive tests which require blood to be drawn from patients. However, non-invasive, wearable systems require consistent contact with skin to offer the highest-quality monitoring. Current systems are made from rigid materials, making it more difficult to ensure consistent contact, and other potential solutions such as adhesives can irritate skin. Wireless systems which use Bluetooth to transmit their information are also often bulky and power-hungry, requiring frequent recharging. The University of Glasgow team's new system is built around an inexpensively-produced sensor capable of measuring pH levels which can stretch and flex to better fit the contours of users' bodies. Made from a graphite-polyurethane composite and measuring around a single square centimetre, it can stretch up to 53% in length without compromising performance. It will also continue to work after being subjected to flexes of 30% up to 500 times, which the researchers say will allow it to be used comfortably on human skin with minimal impact on the performance of the sensor. The sensor can transmit its data wirelessly, and without external power, to an accompanying smartphone app called 'SenseAble', also developed by the team. The transmissions use near-field communication, a data transmission system found in many current smartphones which is used most often for smartphone payments like ApplePay, via a stretchable RFID antenna integrated into the system - another breakthrough innovation from the research team. The smartphone app allows users to track pH levels in real time and was demonstrated in the lab using a chemical solution created by the researchers which mimics the composition of human sweat. The research was led by Professor Ravinder Dahiya, head of the University of Glasgow's School of Engineering's Bendable Electronics and Sensing Technologies (BEST) group. Professor Dahiya said: "Human sweat contains much of the same physiological information that blood does, and its use in diagnostic systems has the significant advantage of not needing to break the skin in order to administer tests. Now that we've demonstrated that our stretchable system can be used to monitor pH levels, we've already begun additional research to expand the capabilities of the sensor and make it a more complete diagnostic system. We're planning to add sensors capable of measuring glucose, ammonia and urea, for example, and ultimately we'd like to see a system ready for market in the next few years." The team's paper, titled 'Stretchable Wireless System for Sweat pH Monitoring', is published in Biosensors and Bioelectronics. The research was supported by funding from the European Commission and the Engineering and Physical Sciences Research Council (EPSRC).